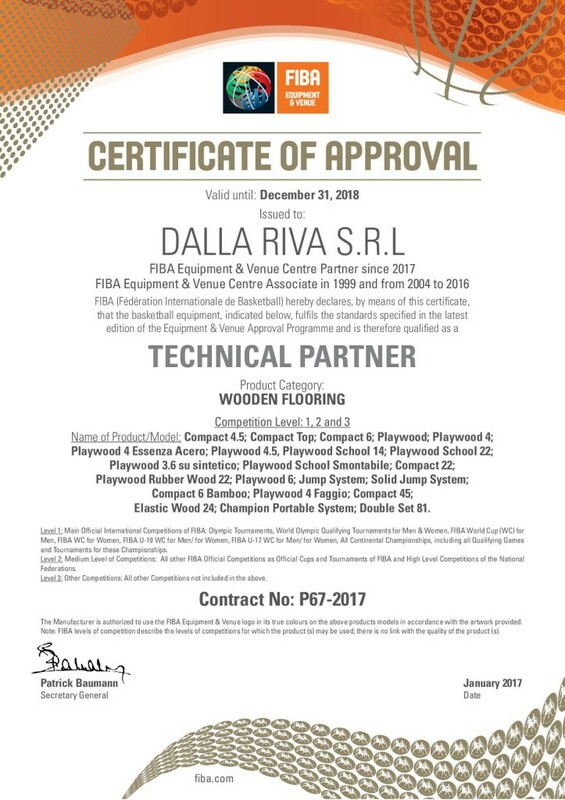 With the advent of 2017, Dalla Riva Sportfloors was officially declared “Technical Partner” of FIBA, Federation International Basketball Association. 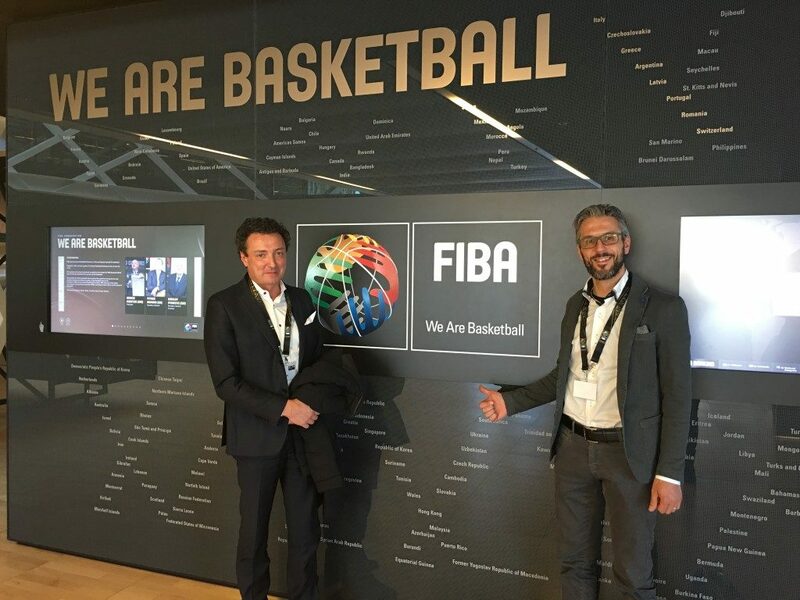 As you know, FIBA establishes the official rules of the sport of basketball, its specifications for the equipment and all executive regulations that must be applied to all international and Olympic competitions. The recent acceptance of DR brand by FIBA, is a milestone of enormous prestige; this classification is a result of a long and strict process after which the companies that request it, are not always included. The applicants companies must meet specific parameters, undergo sophisticated analysis of its products and boast curriculum of true leaders in the areas of belonging. 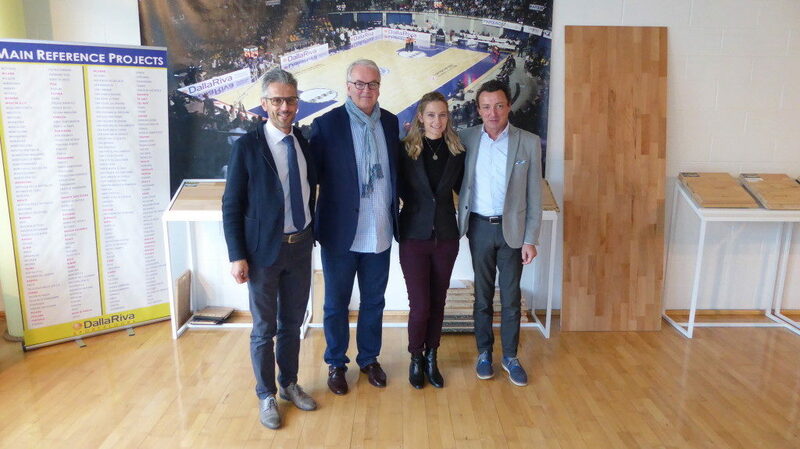 Already in possession of the “License Agreement”, last January, the general secretary of FIBA, Patrick Baumann, signed the official document that recognizes to the company of Montebelluna the role of Official Partner, including in the same, the list of names of as many as 22 types of sports flooring marketed by it. 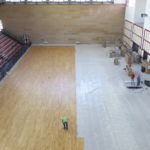 By virtue of this act, all sports facilities supplied with a sports parquet Dalla Riva Sportfloors, will host international events of all levels, without any kind of foreclosure. 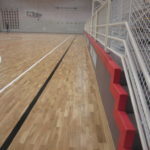 An exciting result for the DR Brand that, with only 15 other companies around the world, can boast of this important “seal of quality” in the section of sports hardwood floors.